Sign up and receive Property Email Alerts of Villas for sale in Bel Ombre, Savanne. pool, a covered veranda as well as a separate kiosk and a barbecue station/bar. 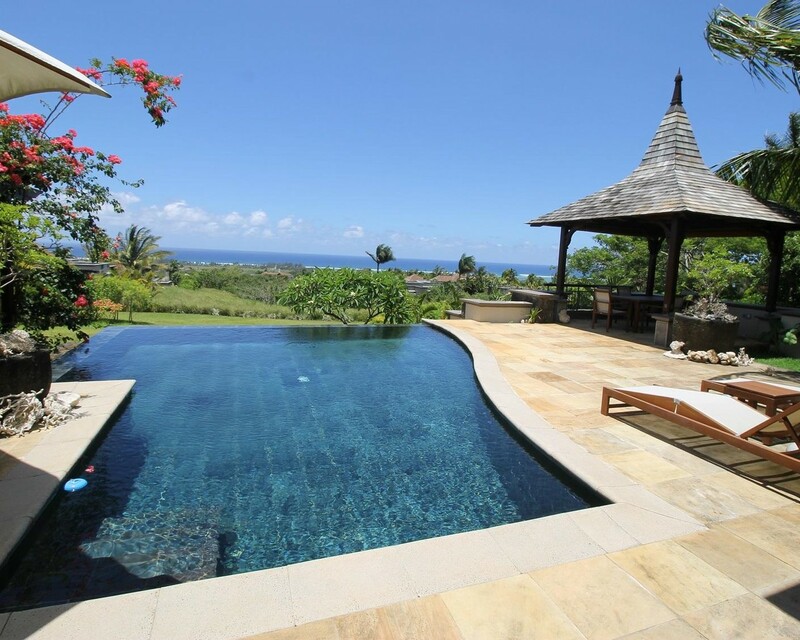 This villa has been occupied by the owners and is as pristine as new. It is part of the luxurious Valriche estate and overlooks The Heritage Golf course, which is a championship level golf course that features amongst the most beautiful and best golf courses of Mauritius and the Indian Ocean. Designed by the renowned South African architect Peter Matkovich, the golf course extends over more than 100 hectares. Sign-up and receive Property Email Alerts of Villas for sale in Bel Ombre, Savanne.